The 5000 series "artics" was a 26 bus order for Ikarus articulated coaches. They were 60' long and seated 63 passengers. They were all assigned to Central Division for their entire service span. 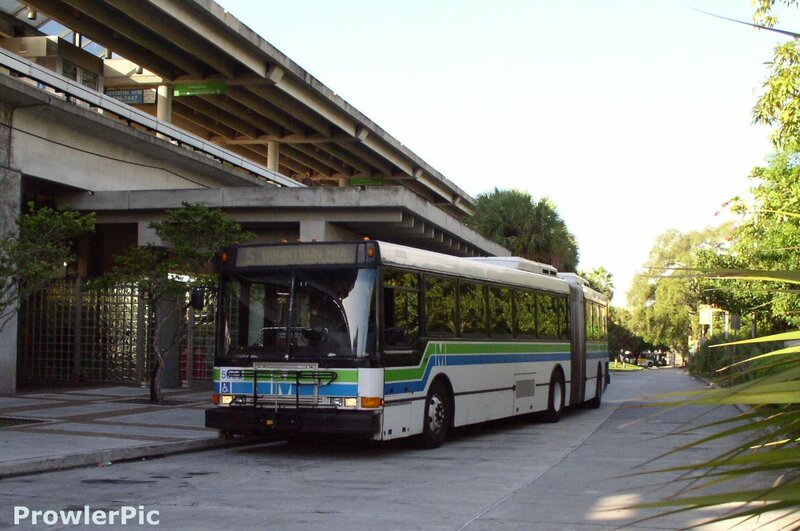 They were commonly seen on Routes L and S. During their last years in service, they were too worn and unreliable and were limited to weekday tripper duty only on routes like the 32, 36, 97, 207, 208 and J. They were finally retired in January 2007. Bus 5006 is still on the property "set aside" as a possible restoration into the historic fleet. 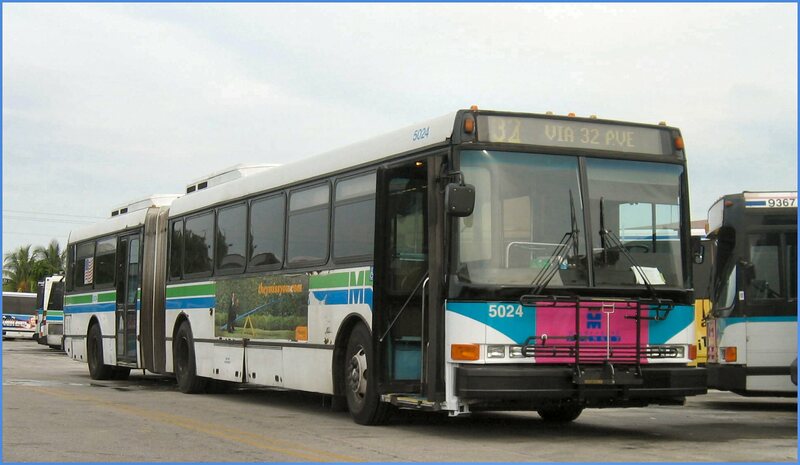 Bus 5024 sporting a "hybrid" livery, "magenta" livery up front and the green over blue stripes on the sides and rear. Bus 5002 on Route S at Culmer Station, CBD buses were detoured their due to disturbances downtown due to the FTAA summit. A crowded 5005 chugs its way south on Route S on Abbott Avenue in Miami Beach.